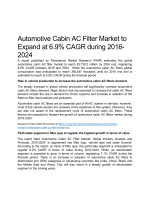 has incidentally lowered the demand for automotive filters in such regions. contamination will remain to be key maintenance stipulations for automobiles. 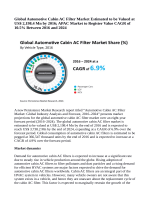 global automotive filters market is poised to reach a value of US$ 17,651.7 Mn. 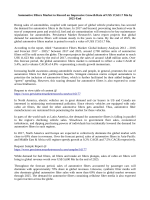 volume CAGR of 4.8% - representing a steady growth momentum. 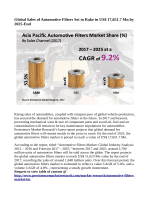 soaring demand for automotive filters is also expected to come across hindrances. 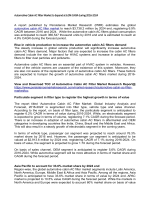 incidentally lowered the demand for automotive filters in such regions. 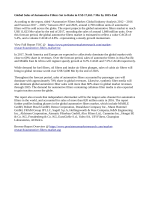 growth at 9.2% CAGR and 7.5% CAGR. 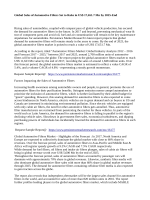 air filters will bring in global revenue worth over US$ 5,600 Mn by the end of 2025.